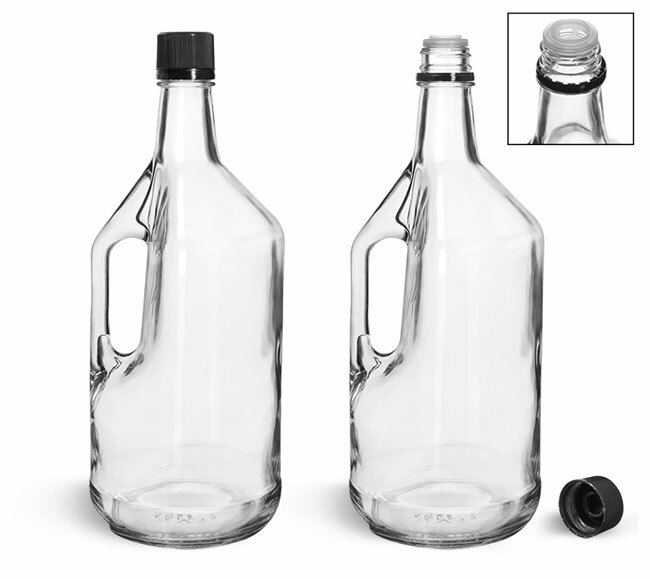 These 1.75 liter clear glass bottles include a glass handle to assist in pouring and handling and are paired with a black polypropylene tamper evident cap with pouring insert. These tamper evident caps provide security before the initial use and the pouring insert creates a more controlled pour during use. 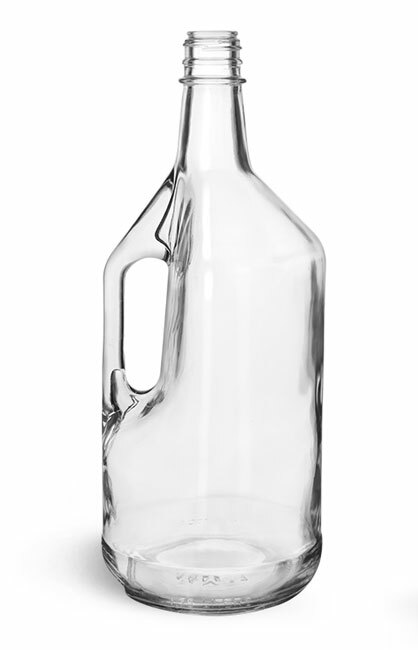 The glass construction and cap features make this kit a great option for liquors, wines, oils, and more.